When it comes to celebrating one of the best days of your life with all your favourite people around you, the very last thing you want is for it to end early! This is why couples and their family and friends (who are fully prepared to party all night) feel it's a real priority to choose a venue that has a late license. With this being top of the list for many couples when booking a venue, we found in our experience this isn't information venues provide too freely online - so we did the leg work for you! So here's our round up of some the best venues with late liscenses where you can indulge in a few more beverages, witness a lot more terrible but hilarious dance moves and have a good old chinwag with your nearest and dearest well into the early hours. Oh beautiful, beautiful Bath - not only are you one of THE most gorgeous places in Britain but you also know how to party. This lovely venue situated at the heart of the World Heritage Site can be enjoyed by you and all your guests until 1am. See more here. If you fancy something really alternative but still quintessentially British, why not get married in the spellbinding St Pancras station? Searcy's enables you to hold both your ceremony and reception all in one place in one of London's most iconic buildings with a late bar until 1am. If that isn't late enough, you can always apply for a later license - head over to their profile to enquire. For an elegant but understated wedding, The Rosendale in leafy West Dulwich is a great venue for cosy, British charm. With a late license until 1am this local makes for a wonderfully warm place to gather all your family and friends on your big day, take a look here. Set in the heart of the city of London, this stylish pub and cocktail bar has a light and airy feel. With an industrial, American diner look, this venue makes for a great backdrop to your wedding reception. The basement cocktail bar gives you enough room for dancing and drinking, which is made even better by the fact this venue has a late license until 4AM! If everyone manages to last until that time, we will be very impressed - take a look at the venue here. This rustic old barn made of the gorgeous old Cotswold stone is a real feast for the eyes, perfect for a laid-back wedding venue. Set in the countryside near Bidbury, it has flag stone floors, an open fireplace and a large South-facing terrace with fire pits and a bonfire in the garden. Their late license means the bar stays open until 1am. You can take a look at the venue here. Lains barn is the perfect location for a rural Oxfordshire wedding, with enough space for you to hold both your ceremony and reception in one place. The best thing about this self-contained venue is that the bar is open until 2am so you can really make the most of the wonderful setting. Take a look here. Set in the heart of acres of botanical gardens, Fulham Palace is an enchanting historical venue. It is an all encompassing venue, providing you as a couple with both a stunning private chapel, rooms for civil services and plenty of space for your reception too. This lovely venue has a late license of 2am. You can take a look at the venue here. Dating back to the 17th Century, Chilston park is the ultimate in countryside luxury. Surrounded by 23 acres of private grounds and lakes and with luxurious furnishings, open-fires and candlelight, it makes for a truly romantic backdrop to your day. Their late license is until 1am. You can find out more here. Tucked away from the bustling Euston Road, this urban-luxe venue overlooks the peaceful Regents Place. With no venue fees and purely a minimum spend, the fact this venue has a late license until 1.30am is the cherry on top. Take a look at the venue here. This charmingly British Elizabethan manor house in Haywards Heath overlooks lots of lovely parkland and is surrounded by 9 acres of it's own land. Everything can take place in the one venue and your guests can stay here too! The hotel bar is open 24 hours so you can truly embrace an all night and all morning party! Find out more here. Tucked away in the Scottish Highlands, this private and idyllic venue makes for the perfect country escape. With the traditional styling to stunning turrets and copious amounts of tartan, this intimate venue is great for a small wedding reception. With it being all yours for a very reasonable flat fee of £4,500, your guests staying at the venue can party all night with their 24 hour license. Take a look at it here. One of our very favourite venues, this stunning self-catering and no-corkage Devonshire wedding venue enables you to really have the wedding you truly want at a more reasonable price point. With it being BYOB and exclusively yours, you can drink all night and really make the most of your very special day. Take a look at the venue here. 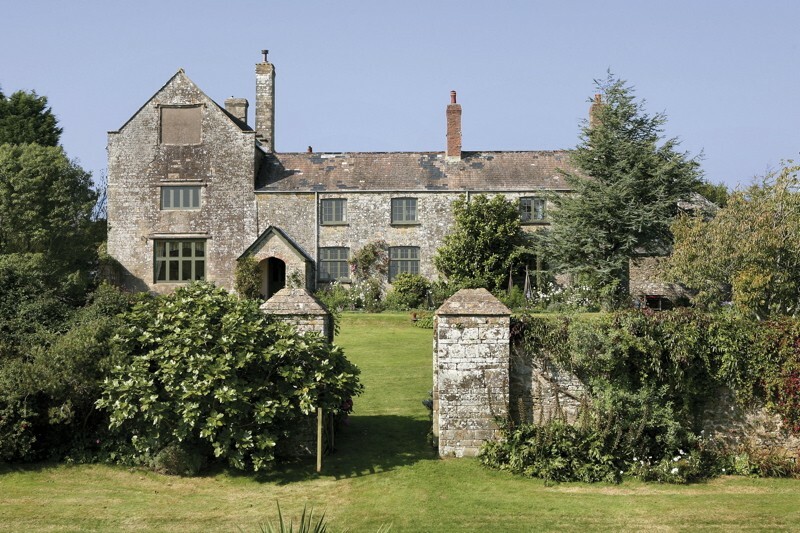 Set within 50 acres of gorgeous North Devon countryside, this country estate is the perfect country pile for a big old wedding party. With absolutely no curfew (amazing!) it also has no corkage fee so you can really have the ultimate bash. So if you want your wedding day to never end, it's just up to you to keep awake! Take a look at the venue here. If you would like to take a look at all of our venues, head over here to see more.